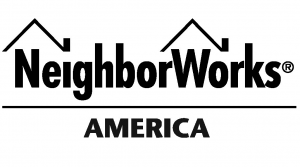 NeighborWorks America is one of the country’s preeminent leaders in affordable housing and community development. We work to create opportunities for lower-income people to live in affordable homes in safe, sustainable neighborhoods that are healthy places for families to grow. Headquartered in Washington, DC, NeighborWorks America operates through a national office, two regional offices and seven district offices. NeighborWorks delivers many of its community-focused programs and services through the national NeighborWorks network – 235 independent, community-based nonprofit organizations serving more than 4,500 communities nationwide. More than one-third of these organizations serve rural communities. Together with its national and local partners, NeighborWorks provides grants, programmatic support, training and technical assistance to its national network. SNHS is a U.S Department of Housing and Urban Development (HUD) approved housing counseling agency. More information on HUD can be found by visiting, www.hud.gov. SNHS has adopted and utilizes the industry standards for homeownership education and counsling. Visit www.homeownershipstandards.com for more information.